The Jewish story of Peqi’in begins at the time of the Second Temple, when three priestly families that served in the Temple arrived in the Galilee and settled in the village, location of the house of learning of R. Yehoshua ben Hananya, who later became a leading Sage. 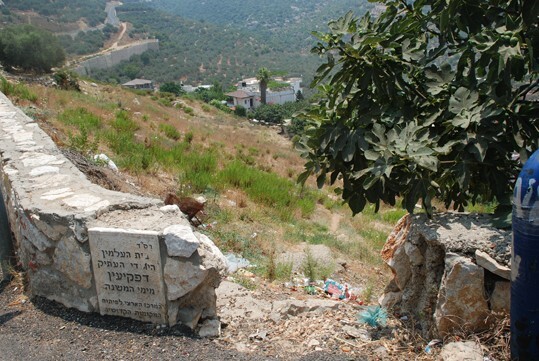 From then until this day, the Jewish intergenerational chain in Peqi’in has not been severed, and Peqi’in is one of the only places in Israel whose residents were not exiled to the Diaspora. Description: Pausing first for a scenic view of the village and surrounding area from the mountain top, we will descend to the cave of Rabbi Shimon bar Yohai, birthplace of the kabbala and discovery of the secrets of the Zohar. We will continue to the spring, located at the center of the village, and through the enchanted village alleys, arriving at the ancient synagogue for an authentic Druze meal in the synagogue courtyard. We will enter the home of the Zeinati family, where we will watch a fascinating and exciting sound-and-light presentation (a play, for large groups, can be arranged with advance notice). The tour concludes with a visit to the Jewish school and mikveh. Two moving and important sites located nearby (3 minutes by car) can be added: the place where R. Oshaya of Tiriya’s grave is marked, and the ancient cemetery.